There is a vast variety of plants and animals to be found around the seashore of Connemara and if you would like to learn more about them there is an short introductory lesson available for you. This enjoyable learning experience is provided by a marine biologist who delves into their habitats and some of their practical uses with you. The name Connemara (Conamara) comes from the “Conmaicne Mara”, a tribe of people who lived by the sea (mara) over a thousand years ago. These people survived for the most part on the natural resources that surrounded them. They knew about and depended upon the natural rhythm of the tides and seasonal affects on fish (iasc), shellfish (sliogán) and seaweeds (feamainn). 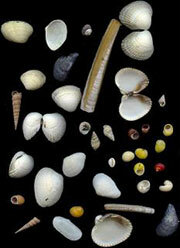 If you have a few hours to spare and would like to learn more about the seashore, read on.. 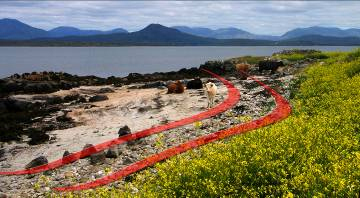 There are practical classes for adults (over 18 years age) in Carna on seashore ecology. The learning experience provided comprises of an illustrated presentation followed by a practical hands on guide to the seashore to show you the rich diversity of plant and animal life to be found on the shore (allow approximately 3 hours for the whole experience). The objective of these lessons is to provide you in a relaxed manner an interesting insight and enhanced understanding of the coast of Connemara. 1) Tides and their cause. 2) The many types of shore environments and the habitats they provide. 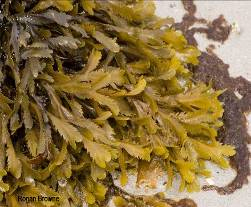 3) The common seaweeds and animals found around the shore. 4) Some of the uses of what can be found on the shore. Ronan Browne (Ph.D., M.Sc. and Dip Aqua.) has over twenty years of experience working in the area of marine research and lecturing. Please call 087 2314279 or email browne.ronan@gmail.com for further information about the time (as times vary on a daily basis due to tides) and cost of these lessons. You will require boots (rubber), clothing suitable for wet weather and your own transport (10 minute drive to the seashore). •	The degree of exposure to weather (e.g. wind and waves). •	The aspect or orientation of the shore (sun or shade). •	The substrate of the shore (rock, sand, mud etc.). •	The salinity of the water. From a biological perspective the life on the sea shore can be divided into different zones where specific plant and animal species have adapted too. Broadly speaking these are referred to as the splash, intertidal and subtidal zones. With the intertidal zone or band being further subdivided into the upper, middle and lower shore. However, this zoning may not always be clearly visible on sandy, muddy, shingle shores or those shores with irregular changes in levels. On a steeply-sloping shore the band or zones are typically narrow while on a gently-sloping shore the zone is much wider. The highest zone is the splash zone – an area that is higher than the level of the highest tide. 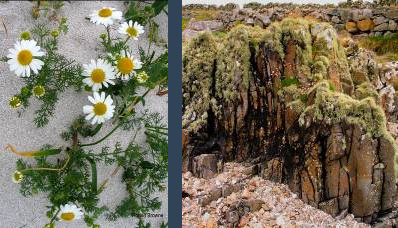 It is strongly affected by salt spray and the salt tolerant higher plants, and black / orange coloured lichens are characteristic of this zone. •	The upper shore, the zone above mean high water neap and high water spring tide level. As this area of the shore is uncovered for much of the time it is characterised by the presence of species able to withstand drying out (desiccation), extreme temperature fluctuations and strong light levels. The plants and animals typical to this zone are lichens, Channelled Wrack, Spiral Wrack and acorn barnacles. •	The middle shore zone is below the high water neap and low water neap mark. This zone is exposed to air for roughly half a day and conversely submerged by the sea for roughly half a day. There are a large variety of plants and animals to be found. 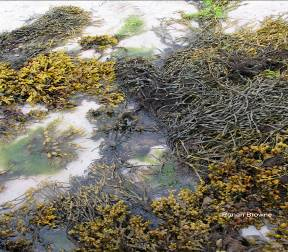 These include Egg Wrack, Bladder Wrack, limpets, periwinkles etc. •	The lower shore is located between the mean low water neap level and the low water spring mark. 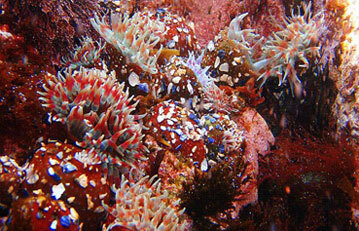 Here many of the red seaweeds, Serrated Wrack and mussels are located. It is a zone that is covered by the sea for most of the day and conditions are thus more stable and thereby favourable for a wider variety of organisms. 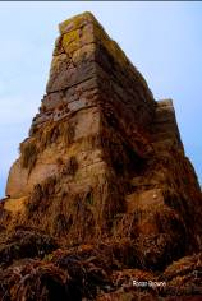 •	The subtidal zone is found below the mean low water spring tide level and is rarely uncovered except during extreme low tides resulting from a intense astronomical and weather events. 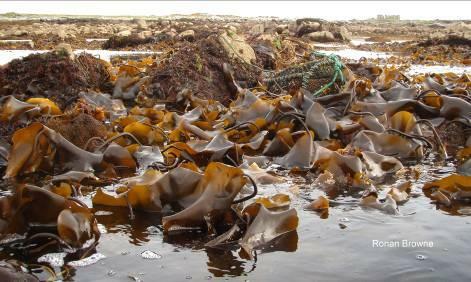 The kelps are a key feature of this zone. For further information contact Ronan on 087 2314279 or email browne.ronan@gmail.com.